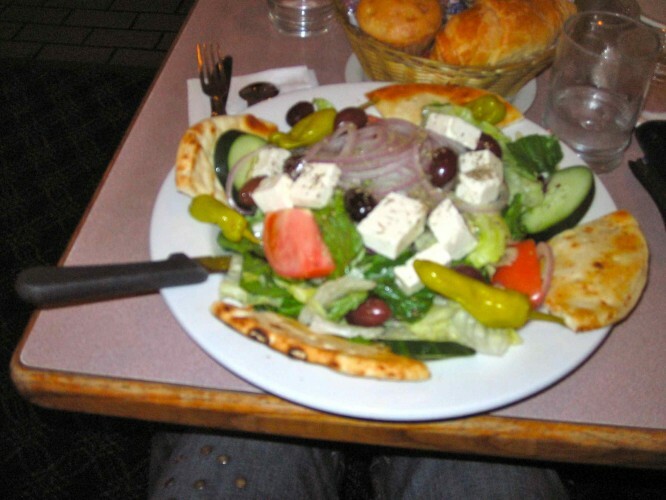 On the way to the club we made the usual diner stop and I ordered a MASSIVE Greek salad. 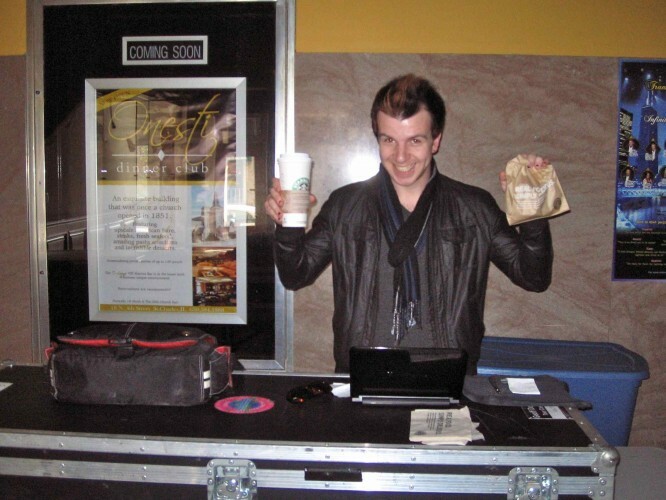 When we reached the venue we found a nice theatre, attached to an arcade containing a Starbucks – both Josh and his raging caffeine addiction were very happy. 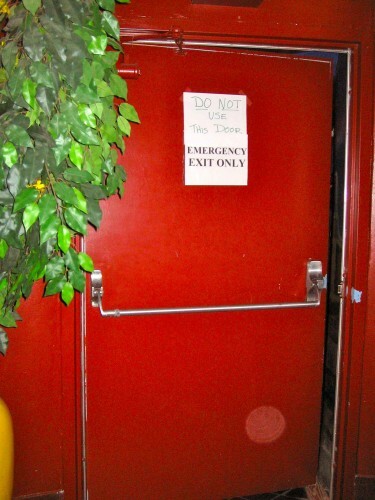 I found our dressing room through a door marked ‘Do Not Use This Door’ – that appealed to my rebellious rockstar side! Once in the dressing room were told that we would have to cut our set short; we were actually the support band for the main attraction of the evening – a screening of the Rocky Horror Show movie. After our soundcheck Simone, Simon, Harry and myself went to a local restaurant owned by the same family who owned the theatre – a family called the Onestis, who apparently also owned half of the town. 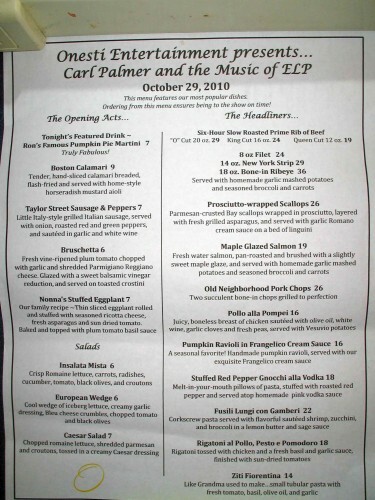 When we got there we found a special menu prepared for the occasion, offered ‘opening acts’ and ‘headliners’ in place of ‘starters’ and ‘main courses’. 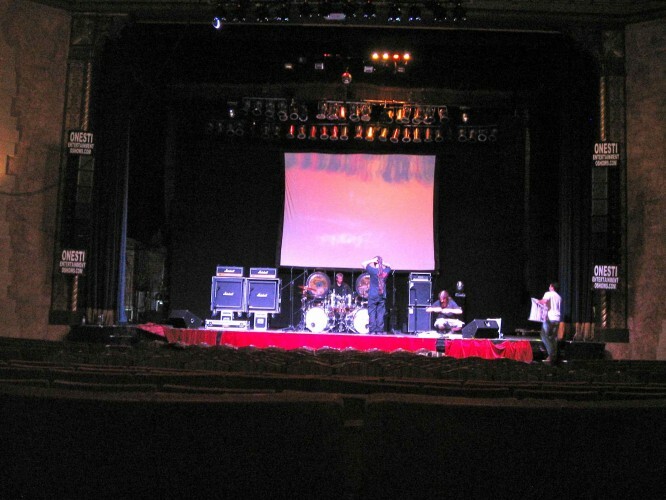 When we returned to the theatre we had chance to watch the support band play a few songs before it was time for us to hit the stage with our cut-down set. The show went well and we had a great time. Afterwards, at the signing table, we had the pleasure of meeting lots of people from the audience. However, time was against us – the pressure was on for us to wrap things up before the major attraction of the night started. 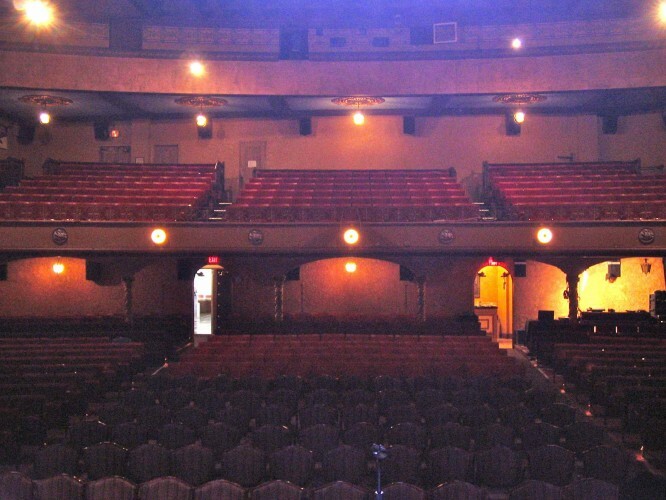 After the signing table I went and packed away my pedal board as the theatre filled up with teenagers in fancy dress – if there was ever any danger of the rockstar ego going to my head it wasn’t going to happen tonight!